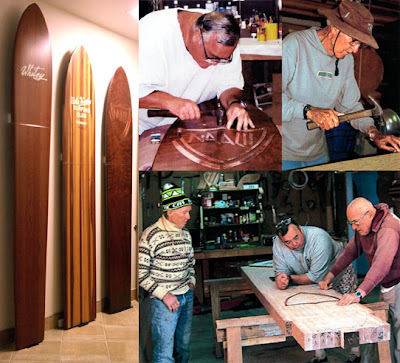 Working alongside these 3 pioneers of surfing, Greg Noll (himself a pioneer as well) recreated their first surfboards. These 3 surfboards are now on display in our hallway, here at Surfing Heritage, and were donated by Founding and Sustaining Partners, Nick & Terri Bacica. They were recently delivered to us by Wingnut, on one of his southward journeys.